Kits available for all Jeeps 1941-1971, trucks and wagons through 1962. Please state application with drum or disc brakes when ordering. This kit is an important safety upgrade from a single reservoir braking system. 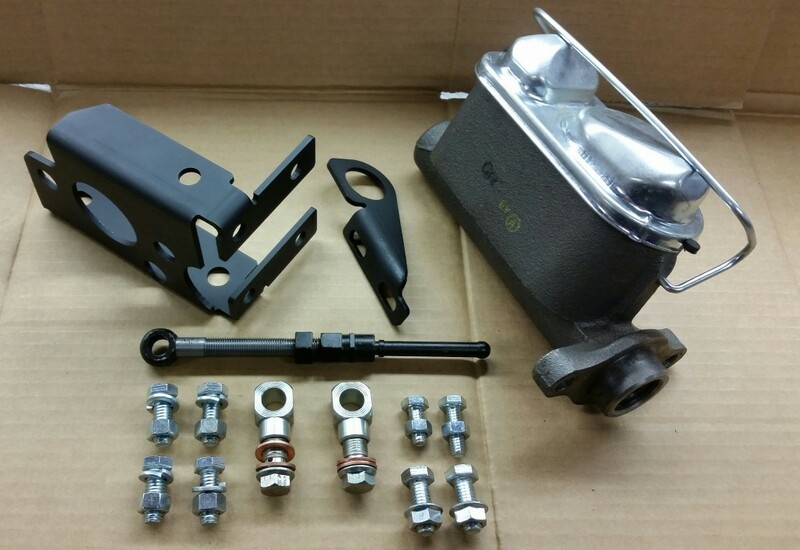 The kit includes a dual reservoir master cylinder, mounting brackets and all required fasteners and instructions. After removing the original bracket (an air cut-off tool works well), the new Large bracket can be bolted directly inside the frame channel by drilling 4 easily accessible holes. The small bracket attaches to the clutch tube cross shaft and the large bracket. 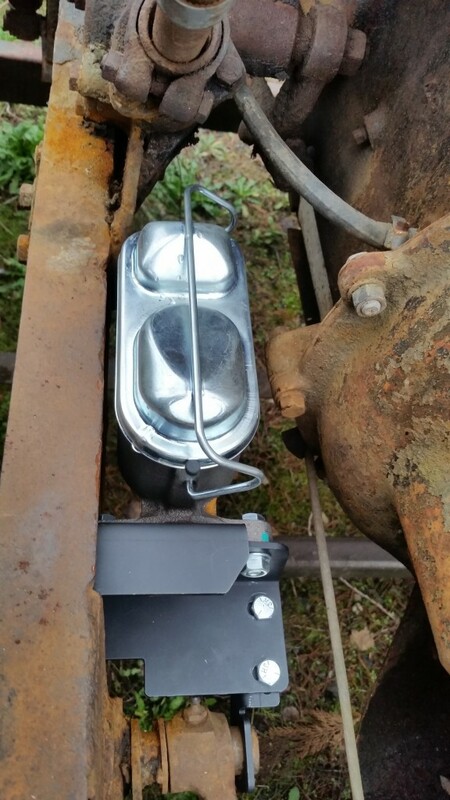 The existing linkage from the pedal is reused for a simple installation. Other than new brake lines, no further modifications should be needed. Read more about a similar conversion at Derek Redmond’s CJ3B Page. 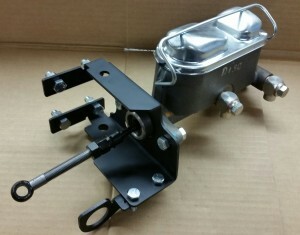 We designed our dual reservoir master cylinder conversion kits to be sturdy and easier to install. 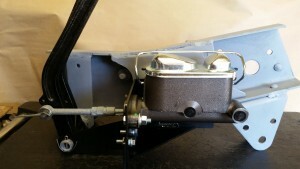 Some knowledge of how to work on brakes by you, or someone that can help with the install will make this a painless project that can give you a dramatically better braking system that i’m sure you will love. Our Brackets are made from a single solid piece of steel in a break press for maximum strength and a clean look. Our DRMC conversion brackets are proudly made right here in the U.S.A.